History | Honeywood (Dr. A. J. Porter) Heritage Nursery Inc.
A. J. 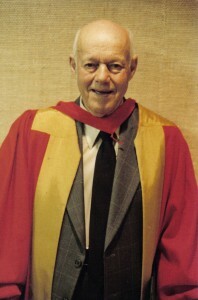 (Bert) Porter is recognized in Saskatchewan as one of the pioneer plant breeders. His home and nursery are an important reminder to our generation and future generations that the fruit we enjoy in our yards and gardens did not just happen, but are the result of years of testing and research by people like Dr. Porter. Honeywood, as his home and nursery, is the foundation of the work carried out by Dr. A. J. Porter throughout his life. It is a living legacy to future generations showing what someone, who has no formal education in a given field, can accomplish. With a lot of drive and determination to produce a superior plant, be it ornamental, such as the lily, or practical, such as the many varieties of fruit, Dr. Porter was able to reach beyond himself and set an ideal example. 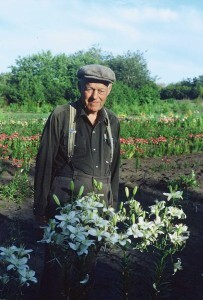 Although he received recognition for his work, his nursery was almost lost to future generations as many of the great nurseries and orchards in Saskatchewan have been.